CLASS Shared School Services Chatham-Kent | Get the MySBI Mobile App! 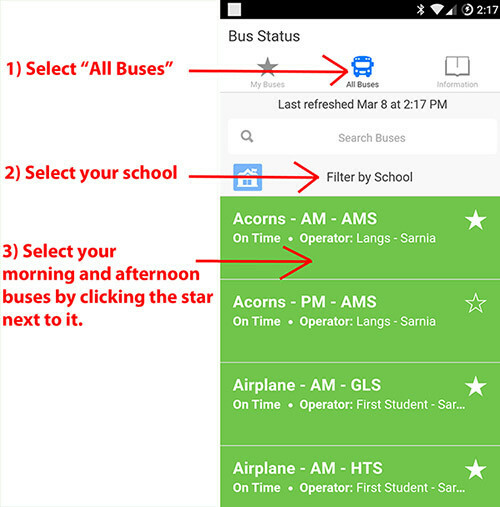 The MySBI Bus Status app displays up to date bus service information for schools operated by the St. Clair Catholic and Lambton-Kent District School Boards. 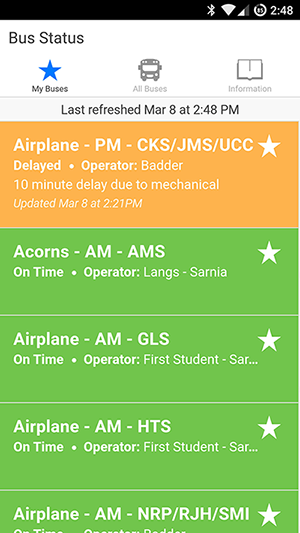 The SchoolBusInfo – Bus Status app uses real-time push notification alerts to keep parents/guardians, students, and other stakeholders in Sarnia-Lambton & Chatham-Kent updated. Users can subscribe to receive alerts for Inclement weather cancellations and school bus delays. REMINDER: As school bus routes change every year; you will need to re-select your symbols for the new school year after August 1st. The very first option in every list is *WEATHER CANCELLATIONS”. 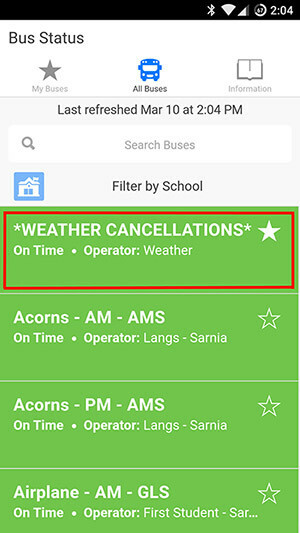 Click the star next to it to receive alerts in the event of bus cancellations due to inclement weather. PLEASE NOTE: Weather Cancellations ALWAYS override bus delays. If you are impacted by a closed weather zone, then disregard your bus delay status. 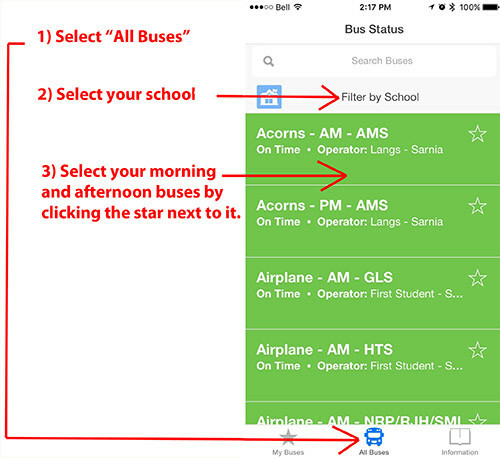 Once you have the app installed, simply select “All Buses”, then select your school, then select your morning and afternoon buses by clicking the star next to it. This will allow you to receive alerts in the event of a bus delay. In the event of inclement weather, the *WEATHER CANCELLATIONS* will turn red and the comments will include details of the cancellation. 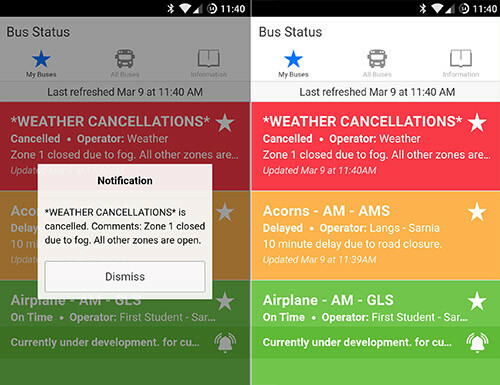 The buses that you have starred are saved in the “My Buses” tab, and you will receive alerts for Weather Cancellations and Bus Delays. Only service delays exceeding 10 minutes will be posted.